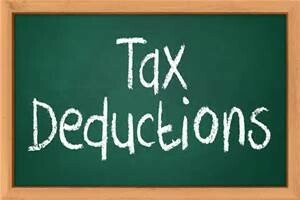 As discussed before, the new tax law has nixed miscellaneous itemized deductions. They are no longer a part of your itemized deductions on Schedule A. These include your reimbursed employee business expenses such as mileage, meals, travel, uniforms and other expenses such as tax prep fees, brokerage fees, etc. Some of the aforementioned expenses are still deductible as business expenses – that hasn’t changed. Many people are upset about the loss of these tax deductions. Before deciding if a person has the right to be upset, some questions must first be answered. First, how much income tax did you save as a result of these deductions? Well, if you were ineligible to itemize your deductions, you didn’t miss out on anything - nada. And, even if you were able to itemize, the total miscellaneous deductions must exceed 2% of adjusted gross income (AGI) before any benefit is realized. Lastly, even If you cleared these first two hurdles, you may still flunk because of additional Alternative Minimum Tax (AMT) being created.